Slice the spring onions into thin strips, set aside 1 tbsp of the green part to garnish. Combine the remaining spring onions with the cream cheese and pesto, season. Divide the filling onto the slices of salmon and roll up to form cornets. 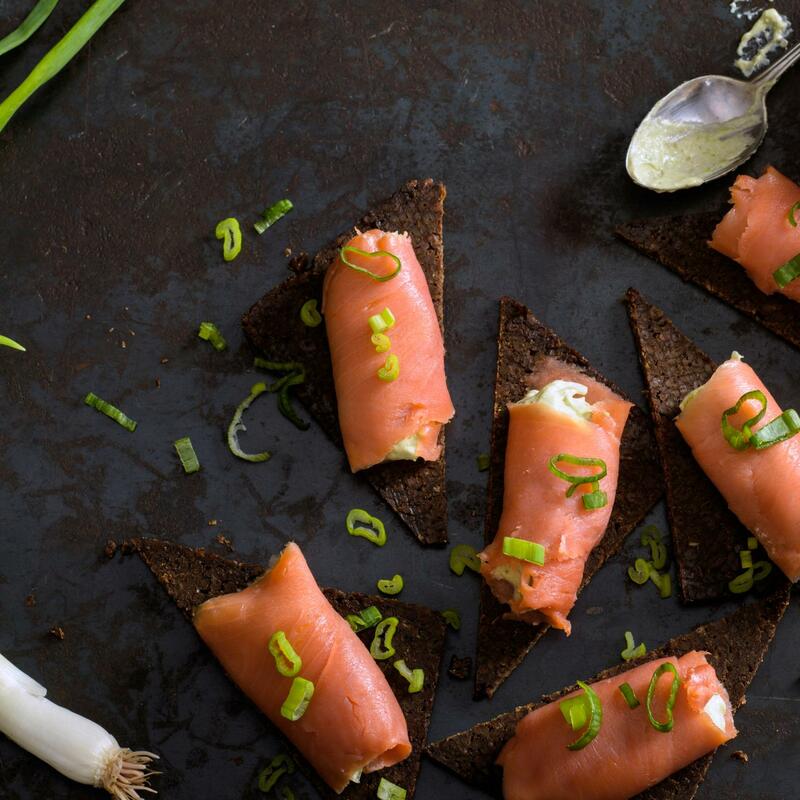 Halve the Pumpernickel slices diagonally, top with the salmon cornets and garnish with the reserved green part of the onions.